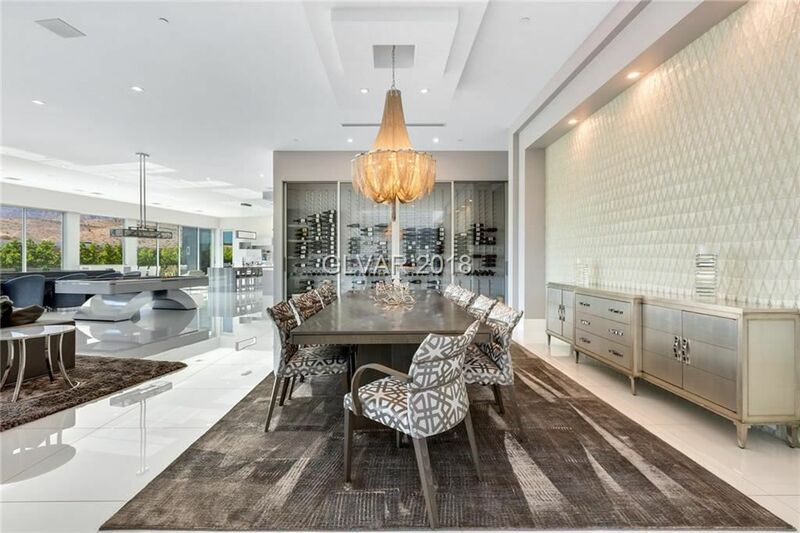 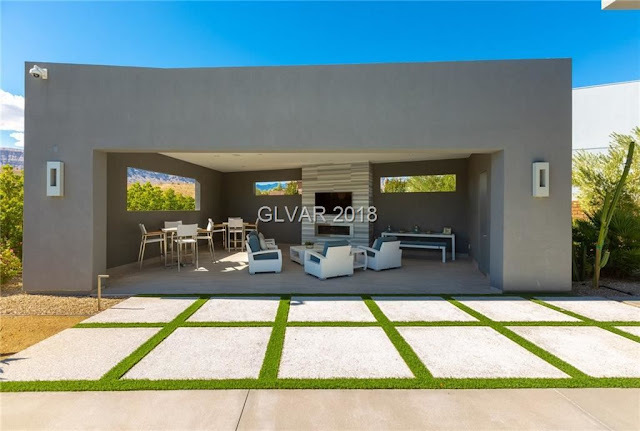 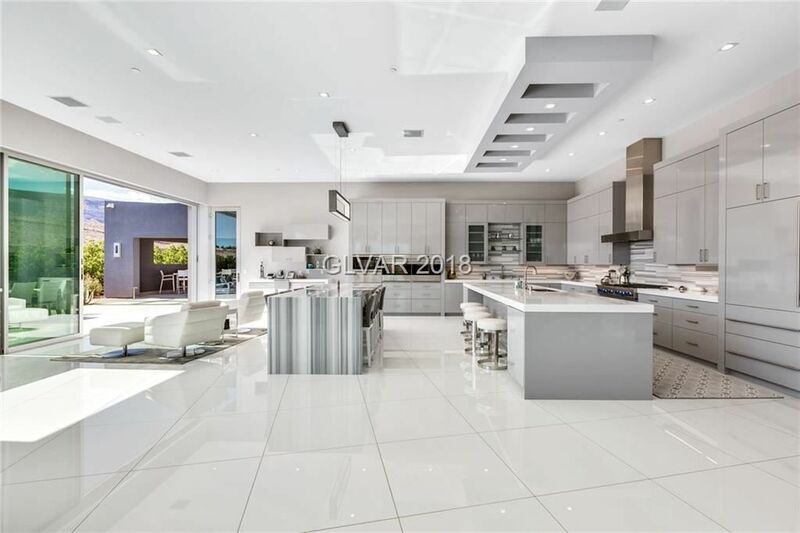 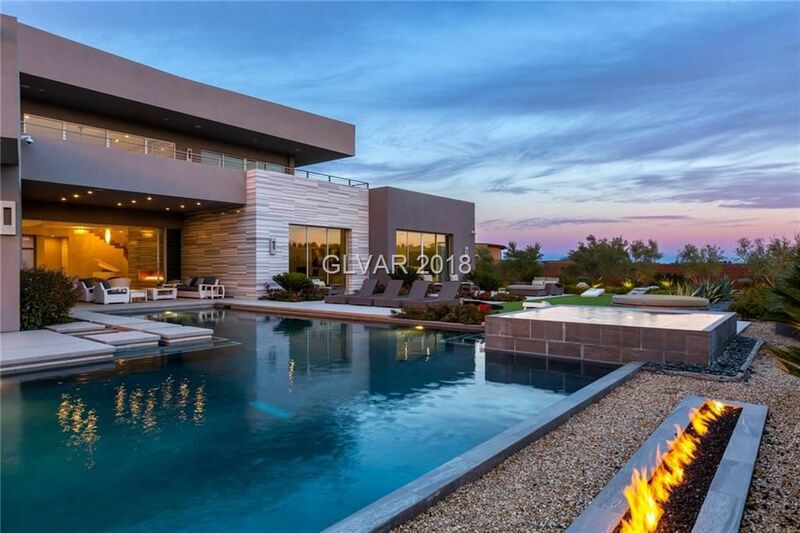 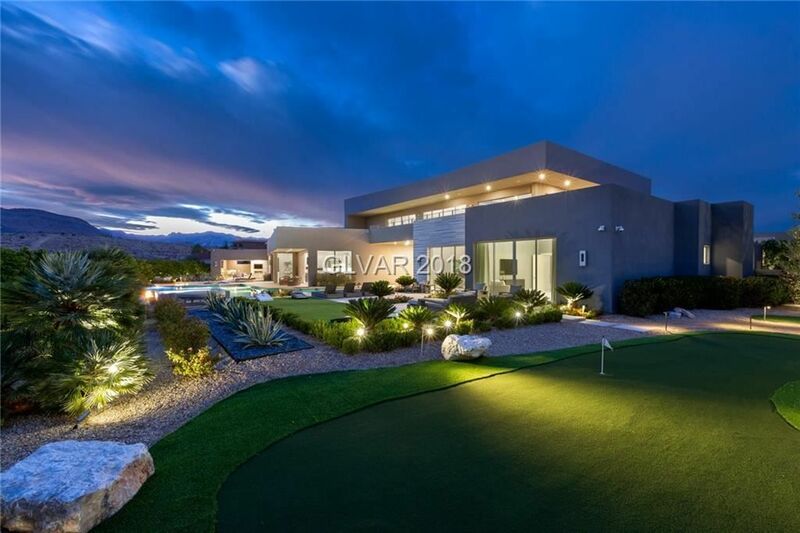 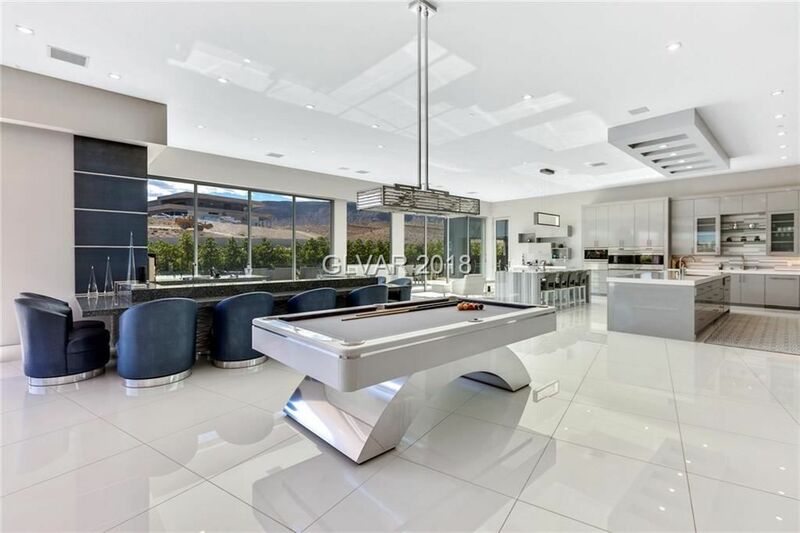 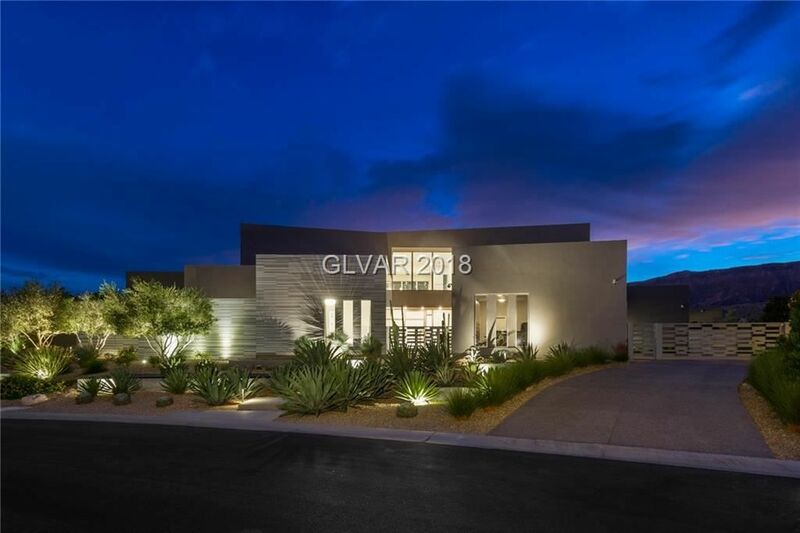 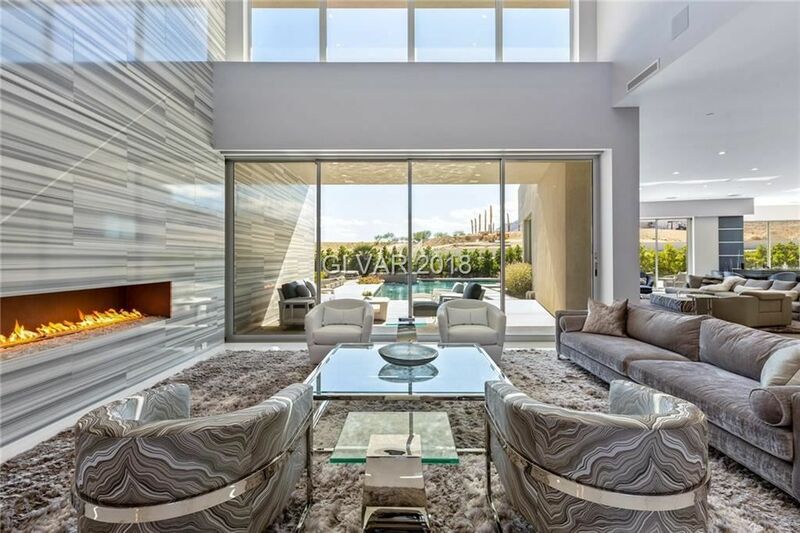 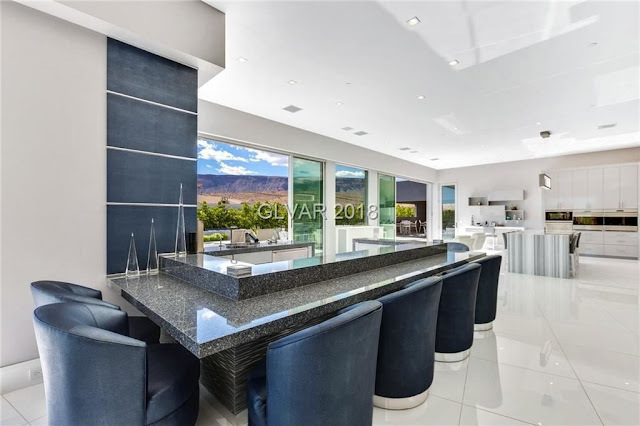 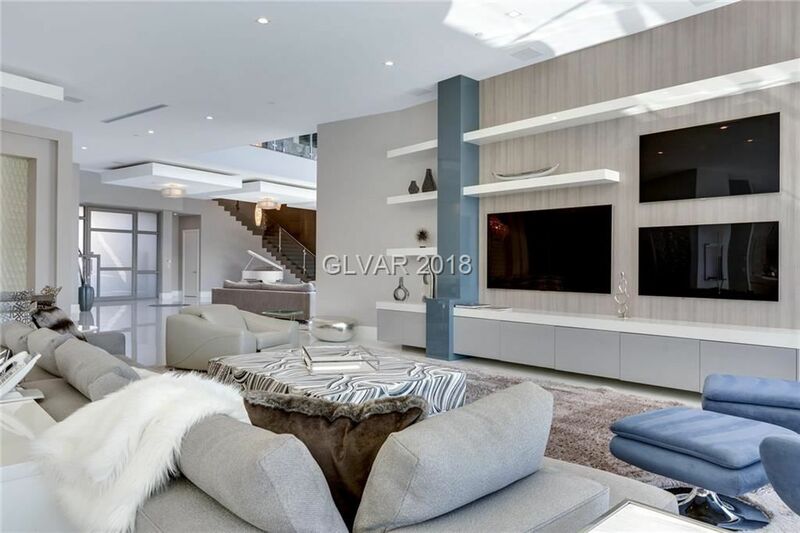 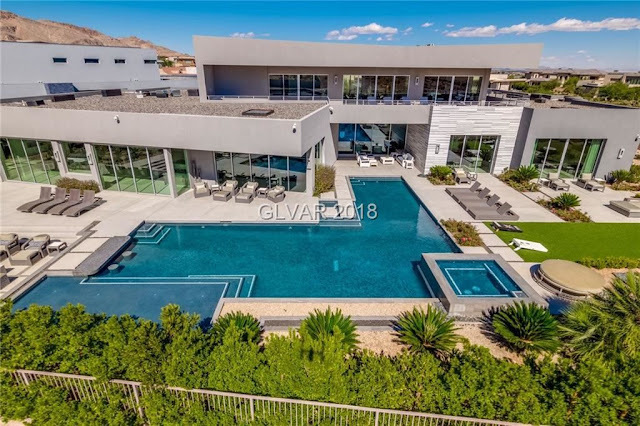 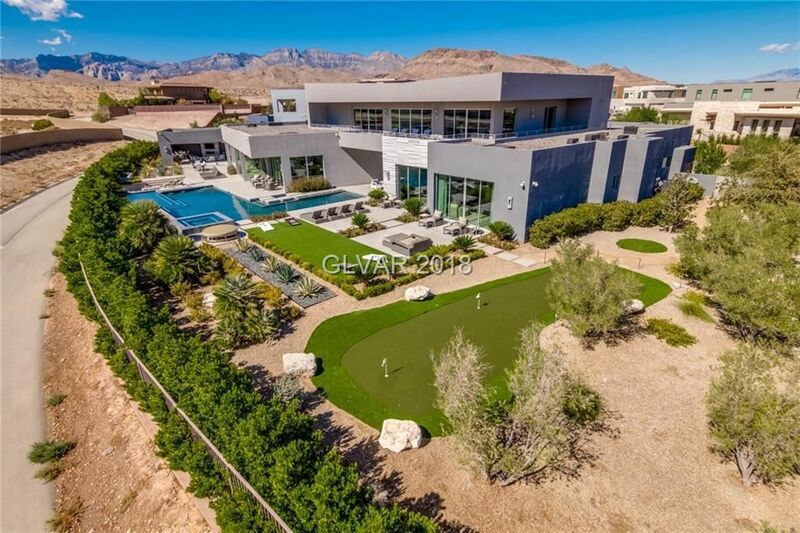 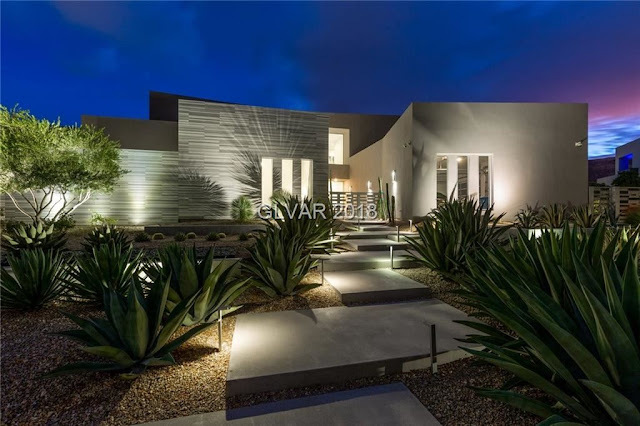 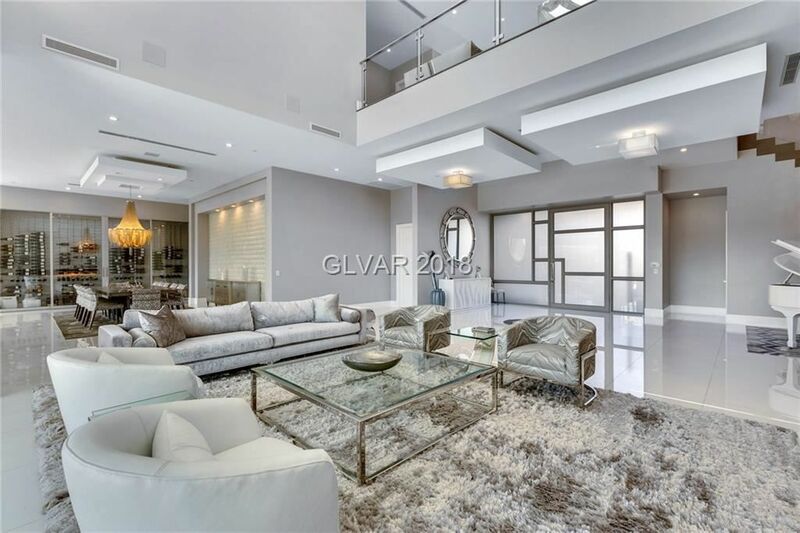 This sleek contemporary mansion in Las Vegas, NV was designed with indoor-outdoor living in mind. 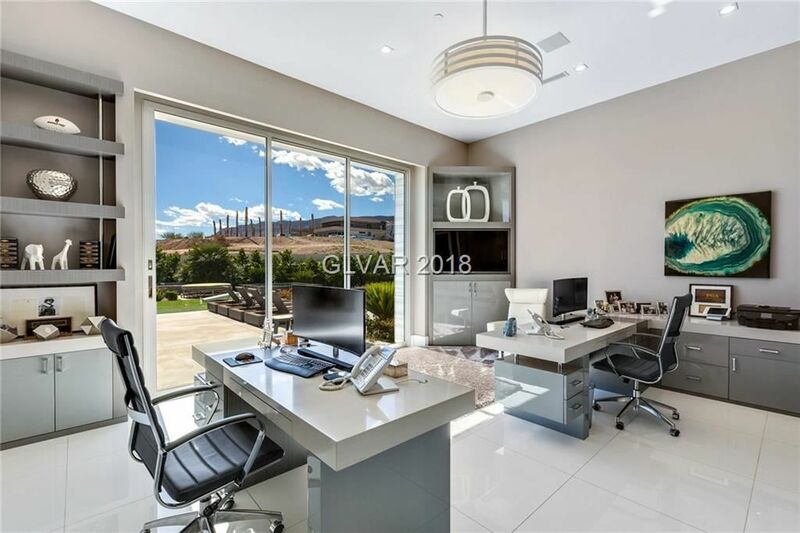 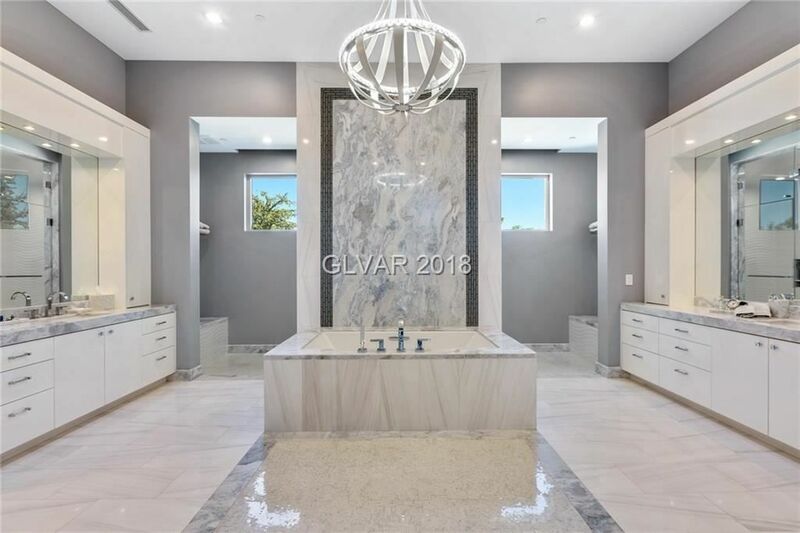 Built in 2013 and situated on 0.89 acres of land, it features approximately 12,445 square feet of living space with five bedrooms and five full and four half bathrooms. Keeping with its theme of indoor-outdoor living, the first level boasts a sprawling open space for entertainment that includes a two-story great room with gas fireplace, dining room with floor-to-ceiling wine closet, chef-inspired gourmet kitchen with double islands, and a living/wet bar/billiards area. 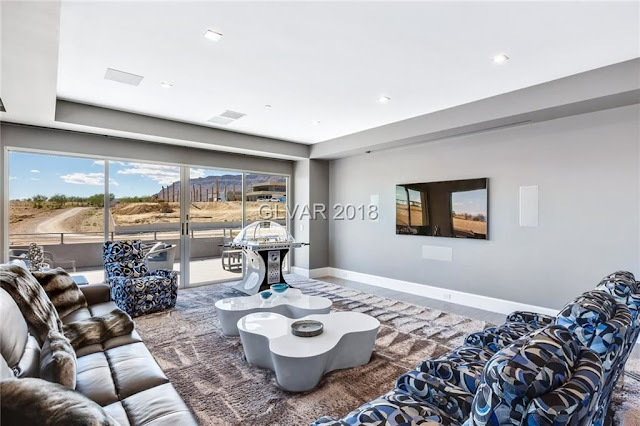 There is also a media room, home office, and a four-car garage on the first level. 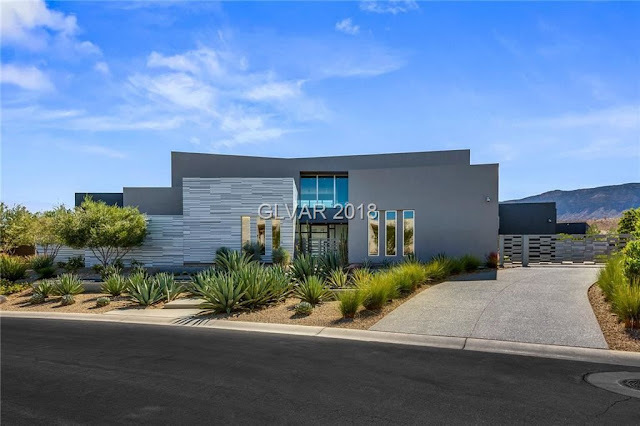 Outdoor features include a gated motor court, expansive rear patios, second level wraparound terrace, swimming pool with spa, gas fire pits, putting green, and a cabana with fireplace. Thank you for stopping by. 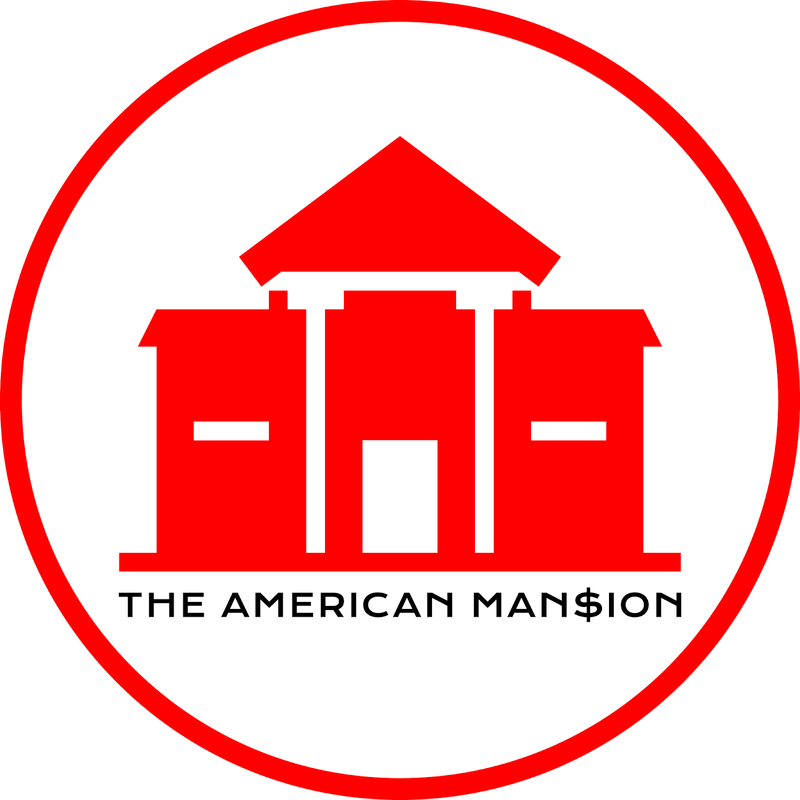 Please drop by any time to check out the mansions that I post.